At Little Known Help Zone, we believe in shooting for the stars. That’s why each supplies kit we donate includes personalized items for the children to be empowered in their education and reach success. The new Shoot for the Stars bracelet on the Etsy shop reminds everyone to do just that; embrace their potential for success. In addition to that, it raises money for our monthly classroom project! This handmade piece is a mixed metal chain bracelet with silver star beads and a lobster clasp. The dangle is delicate and light, and the stars shine. So head to the etsy shop and do some shopping. The newest item to be added to the etsy shop is this opalescent gunmetal bracelet! Handmade, this bracelet costs $6 and, as always, all profits contribute towards the monthly classroom project. Shop the Little Known Help Zone etsy and give back to the community! Want to support Little Known Help Zone while shopping for something natural and fashionable? 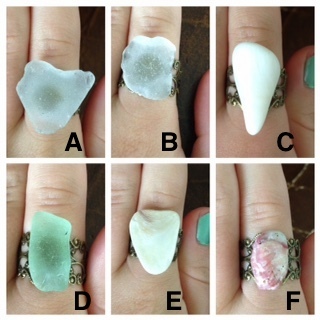 Look no further than these beautiful ocean treasure rings. Available on our Etsy page, these bronze filigree rings have different sea glass, shell, and ocean polished stones adorning them. Each one is unique and made by nature, making this a one of a kind purchase. 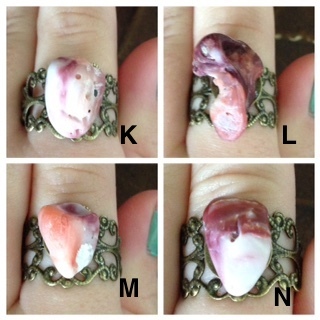 Available for $6, each of these rings benefits Little Known Help Zone’s monthly classroom project. On Wednesday, December 6th, LKHZ participated (for the third year in a row) at the Bryn Mawr Staff Association Holiday Craft Fair! This was a wonderful event with many vendors, and LKHZ sold our items to raise money for our monthly classroom project. Items included crayons and cacti among other LKHZ favs. This was a successful event raising over $100 for the project! Thank you to all who helped and shopped, we’ll see you again next year! Excited by all the plans Little Known Help Zone has on the table? Support the movement with these beautiful rings, made with materials sourced from El Salvador. 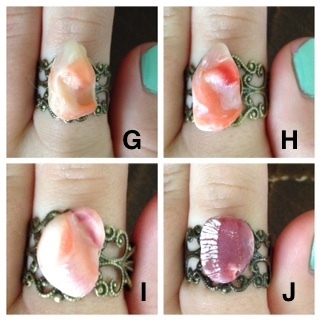 The bronze filigree rings have beautiful stone, shell, and sea glass. They are elegant, fairly priced, and a great accessory or gift. Added benefit, the support the Little Known Help Zone scholarship fund!